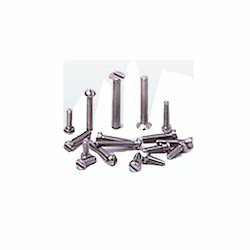 Hastelloy C276 Fasteners are manufactured by us and we use top quality of raw material which we procure from our trusted vendors so that we manufacture high quality of product. Our products have various applications in houses, industries, factories, petro chemical industries and steel plants. Our expert teams are engaged in manufacturing and selling Hastelloy C276 Fasteners to our clients. We have used fine quality of alloy to manufacture our products. Being a manufacturer we use latest technology that can easily manufacture fasteners in bulk so that we can easily supply our product in different part of the country. We manufacture fasteners that have smooth surface, stability, durability and specific design. Looking for Hastelloy C276 Fasteners ?